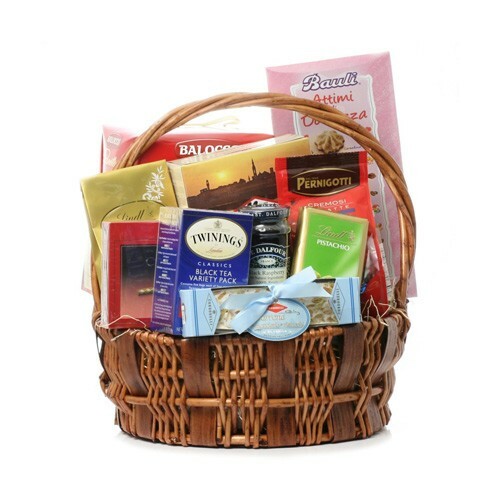 This is one of our most requested baskets, conveying sympathy and concern for friends and family that have suffered loss. It includes items that are easily served such as a variety of cookies and chocolates; a selection of fresh and dried fruit; and assorted nuts. Occasionally substitutions of equal value must be made but the theme of the basket is always consistent.